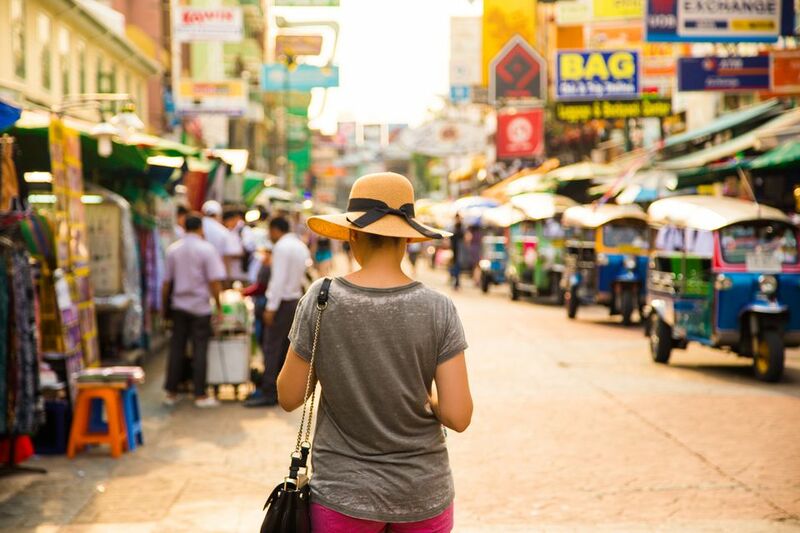 Thailand is a very relaxed place, and given the image of bikini-clad vacationers frolicking on beaches and backpackers in shorts and sandals exploring cities, you may think that anything goes in terms of clothing. What you wear in ​Thailand matters a great deal, though, and can make the difference between being treated well and being virtually ignored when you deal with anyone in the service industry. When you're out exploring the country, dressing appropriately will also make people around you feel more comfortable, which will make them more likely to connect ​with you. But, unless you live in a tropical country, dressing "appropriately" probably means something entirely different in Thailand than it does at home. Below are some rules to follow if you want to blend in. There are no fashion police running around Thailand, so you can feel free to break the rules, too, if you don’t care, or if it’s just too hot to contemplate wearing long pants. It’s good, though, to know what’s expected of you. Remember that whatever you choose to wear, if you are in an office, movie theatre, supermarket, shopping mall, a 7-Eleven, or even on the Skytrain in Bangkok, you’ll be blasted with ice cold air conditioning. If you’re going to be inside for long periods of time, say, if you go to the movies, bring a sweater or wear something a little warmer than usual as you will freeze if you don’t. For men, don't wear shorts except for sports or very casual events. If you're at a Thai shopping mall, movie theatre or another casual public place, take a moment and look around and you'll see that very few men are wearing shorts. Even if it's 90+ degrees outside (which it probably is since this is Thailand after all), most men will wear long pants or jeans. For women, the rule is laxer. If you are wearing "nice" shorts, you can get away with them in most environments, though it would be considered a transgression of social norms to wear shorts in a corporate environment or in any government building. If you are, for example, heading to the immigration department to get a visa extension, put on some long pants. Despite the fact that every college campus in Thailand is full of women wearing tight miniskirts, in most other environments it is not considered appropriate to wear a super short skirt (yeah, the irony is palpable). So, unless you want to dress up in a Thai school uniform, you’re better off wearing something a little longer. Above the knee is considered totally fine, but mid-thigh would be too short. Nothing to add other than that if you can swim in it, it is not appropriate for exploring the big city or even a small town in the country. There are some tricky rules to navigate when trying to decide what to put on your feet. Women can get away with virtually any type of open footwear, even in an office environment, so long as it looks dressy and not sporty. Strappy, open toe, high heeled shoes are totally fine in almost any environment, but, as unfair as it may seem, comfy Birkenstocks are not. Though some women will wear pantyhose with their sandals (yikes! ), most women do not and being bare legged is not considered offensive. Men should not wear sandals anywhere other than the beach. Tank tops, spaghetti straps, and halters aren't considered appropriate unless you are on the beach, in a nightclub, or at a black-tie event.